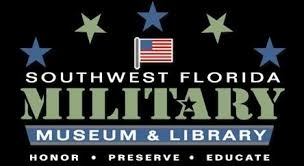 years, collecting, repairing and cleaning these military items to have them available for viewing to the general public. Freedom is not Free. However, admission to the museum is – So come with your family and friends and enjoy the largest military museum in Southwest Florida.